Many of the most popular plants we have today, from the top arboretums to the backyard gardens, originated from plants from far away places. A simple little twig holds all of the genetic information needed to make an exact copy of the parent. Propagating plants is a simple process; however, the mystique behind the practice prevents many gardeners from trying to do it themselves. Today, Joe takes us to just outside of Raleigh, North Carolina to meet Brienne Gluvna Arthur. Brie is amongst a small group of nationally recognized young horticulturalists and propagators. Having studied horticulture and landscape design at Purdue University, she immediately started working as a full time propagator. 15 years later, Brie estimates she has added a million plants to gardens all across the country. 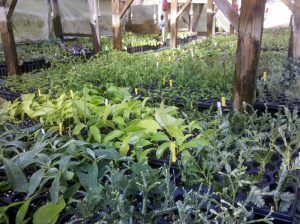 Joe and Brie take us on a journey to JC Raulston Arboretum, then back to Brie’s garden, where they give you the steps to correctly propagate plants, and show you just how simple the process really is. I never got the name of it Ed. But I think I purchased a misting system like the one in the show in the dept that sells the outdoor grilling equipment. Hope that helps. I’m a hobby gardener and want to attempt to propagate some cuttings from my Belle of Georgia peach tree. Do you all have any plans to do a segment on propagation of fruit trees? By the way, I live in Durham NC probably not too far from Brie so if she has any helpful hints about this topic I would be happy to hear them! Hi Sheree. We haven’t talked about this but now that you mention it, I think it’s a good idea for at least a segment. I can’t tell you when this will happen but if you keep watching and subscribe to our newsletter, you’ll know when we do release more information on this. In the mean time you should contact your local county extension service. I bet they can provide some material out of NC State on fruit tree propagation. Good luck Sheree. As a new fan, I have thoroughly enjoyed watching all your podcasts and soaking in every bit of information provided. I return to some of them numerous times and find them to be invaluable. After watching this podcast- which was fabulous, I was thinking about what a delightful and knowledgeable addition Brie would be to your program. I was so happy you wrote that she will be on some future podcasts! Thanks very much for each wonderful show you produce. It has reopened a whole new world to me after working in my crazed corporate environment, that I look forward to listening to each evening when I return- as well as during my long commute to and from work. I also love your dog. Your productions are truly second to none. 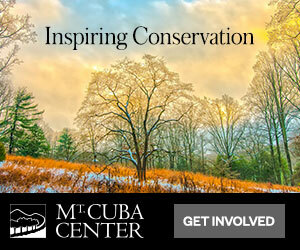 Keep up that passion for growing a greener world! You are inspirational as well as motivational. Hi Laura. Thank you and welcome new fan! I’m thrilled you’ve found us and that you find our shows and podcasts so enjoyable. We love what we do and hearing words of encouragement like this is what keeps us going! Brie is a wealth of knowledge and a real inspiration to the profession. She is as passionate as anyone you’ll ever meet about communicating good and accurate horticultural information. We are creating a lot of new content in 2016 and relaunch new podcasts episodes and some really great TV episodes are in the works too. And I will be sure to tell Odie that he’s gained another fan. I swear, he always steals the show. But we love having him around. Thanks for writing Laura. I really appreciate your kind words. Love the show and really loved this episode. Can you tell me where Ms. Arthur got her greenhouse in this episode? Hi Marv. Glad you liked the episode. Brie Arthur made that greenhouse herself (with the help of her husband). It is simply black-painted PVC and shade cloth. Very simple and inexpensive to construct. But unfortunately I don’t have any more details than that. I have a green spirea which was here when we bought our home almost 3 years ago. As I said the spirea is green with pink flowers. The reason that I am writing to is because some of the stems ( less than 12 ) have been growing with either all cream color or variegated (cream & green) which I know is not normal. Can you tell me the best time and how best to propagate the stems from this plant? My suggestion would be to use a rooting hormone powder. Simply cut the desired piece off of the mother plant, remove the bottom most leaves and buds, apply the powder and plant the stem in a small pot of moist potting soil. Mist the leaves so it may absorb water until the new roots are formed. You may want to do this indoors and then plant it outside once roots are vigorous and fully formed. The variegated section of your plant may be a new or already discovered cultivar. Good luck! I am a hobby gardener that wants to propagate some blueberries with soft wood cuttings. I gather that misting the cutting for 10 seconds every 10 minutes is a good idea. I am trying to find an inexpensive timer (under $100). Any help would be appreciated. I enjoy working and sitting in flowering gardens especially those with rose bushes. But I have had zero luck rooting the cuttings I get from friends for my own tiny plot. Any tips? Also, the host states during the episode that they will inform us of the liquid Brie dips the cuttings into before planting. Can someone please provide more information? Clippings from friends are special and you don’t want to take risks. I very much enjoyed this episode. I’m interested in some of the older varieties of camellias. On cutting trips have you ever come across Camellia japonica ‘Vedrine’? Thanks so much. I read it was brought to US to Avery Island, Louisiana. I particularly like the anemone flower. I happen to find your show when I was flipping channels, I am glad I found your show I have been trying to propagate plants without professional knowledge, I read some books on the processor but, you show is better I am a sight learner watching how Brie actually propagate and stating how to do it was great! I will be watching you show all the time. Thanks for the excellent infomation, this what we need! When is the best time to take cuttings from evergreen Azaleas? 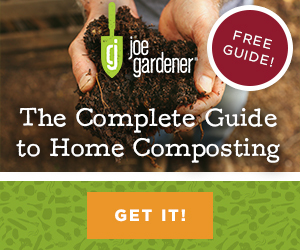 Which do you think is better for the home gardener cuttings or layering? I’m going to try this with wax myrtle I purchased from the nursery. They only had 5 but I needed more. These are either male or female, and I finally know which is which now that after 2 years, 4 of them have produced berries. This is so cool!!!!! 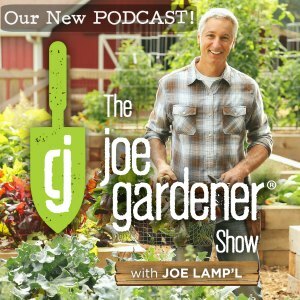 Fantastic episode…great information for the small gardener!!!! I need a Greenhouse! Thanks for the show. This has recently become an area of interest for me as i am starting to grow fruit and nut trees and feel the prices of potted trees. During the show she mentioned that the larger pot could cause rot. Could you explain why this is? 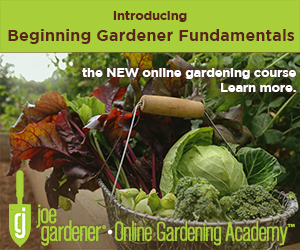 Great to hear you are growing fruit and nut trees! You want to select a container that is no more than twice the size of plants root system. This practice will ensure the plant can root in without staying too saturated. The deeper the pot the better the drainage, so I always recommend using containers that are taller, rather than wide-mouthed and squat shaped, particularly for trees. Nurseries often pot up trees and shrubs in a sequence over a period of years to properly establish a large specimen….ex. 1gl to a 3gl to a 7gl to a 15gl. 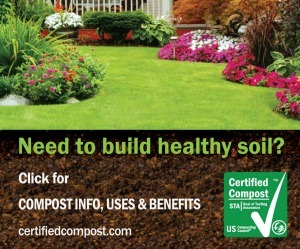 Drainage is the most critical component to growing healthy plants. Remember the roots grow in the spaces between the soil particles so do not compact your soil while planting. Brie is my new hero!! This was a great episode and I’m so happy to have found y’all! I’ve been missing little things in propagation and Brie covered it! Thank you so much! Hi Evelyn. Thanks for the kind words about Brie. We agree, she really does a very nice job adding useful information. And since Brie is your new hero, you’ll be very happy to know she is going to be a regular on the show starting next season. She is going to be our foodscaping and design correspondent and will appear in about 13 of the 26 episodes submitted next season. Hey Joe. 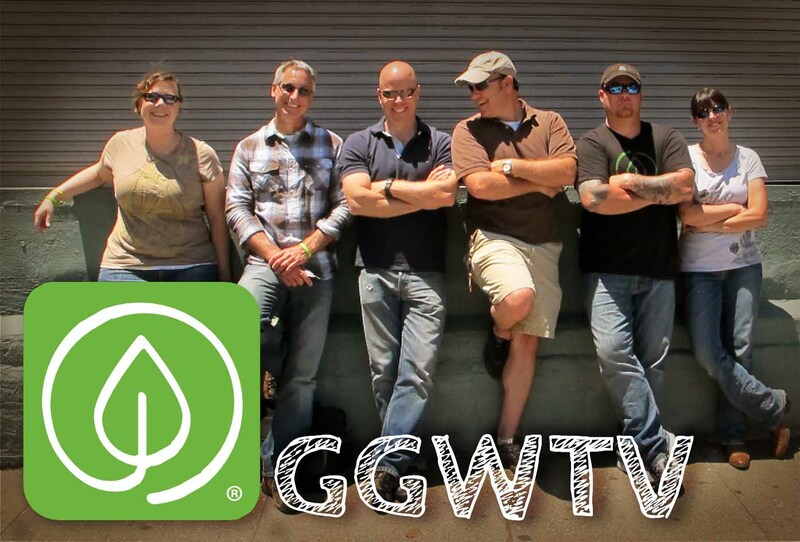 Was catching up on a couple of the programs I had missed this past Fall and watched the one on plant propagation. It was most informative on a skill that I had never been confident to try. Thanks to the show I have the courage to give it a try. Your choice of including Brie in future shows is a great one. Based on her role in this show, she will certainly bring an informative presence to Growing a Greener World. Thanks Tom! We’re really excited to have Brie on the team and can’t wait to showcase many of her other skills as well. We’ll be designing and installing the landscape at my place next month for the show. Should be a good one! Thank you for the link!!! I have been trying to propagate Camellias for a year now and this article will help me in that process! WOULD YOU TELL WHICH SHOW SHOWED HOW TO MAKE NATURAL “PESTICIDES W/MILK OR DISH SOAP. JUST FOUND YOUR SHOW ON PBS AND LIKE IT ALOT! Hi Marlene. It’s episode 419. Here’s the link to that episode and the show notes. Glad you like! propagation with walmart powdered rooting hormone for myrtle? Show was good, I should have done the mist tent for a few weeks. When is it too late, temp wise? Can I still do myrtle now in 24153, Salem, VA? When you refer to myrtle, what plant do you mean specifically? (Crape myrtle, Lagerstroemia or Wax Myrtle, Myrica) i would recommend waiting and sticking soft wood cuttings in mid spring for fastest results. use a mist system to ensure the cuttings dont dry out while rooting. Wax myrtle are very easy to propagate from layering as well. This technique means you secure a branch to the ground with a brick and lightly wound the branch where it is making contact with the soil. It will develop roots over time and you can simply prune it from the mother plant when a root system is developed. Thank you so much for the easy to understand steps in propagating!!!!! 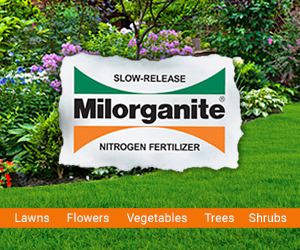 This will be very helpful to us as we garden in our yard. We have been working on propagation, but it has been sort of a guess and try strategy at this point. I am also starting a horticulture club at an elementary school. I can’t wait to teach the students about propagating Native California plants. Awesome Donna. So glad you found this and that you think it will be helpful.